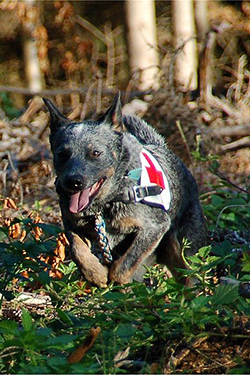 He's a four year old search and rescue qualified dog with three big events under his belt. Rusty has even been asked for by name under the Bush administration. His fun-loving personality and keen sense of smell make him an invaluable asset to our team. Don't try and hide the treats though. It's almost impossible to fool this sweet boy.